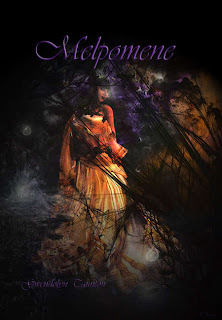 Melpomene – the name conjures memories of a distant and ancient past, of the Muse of Tragedy who inspires verses as dark as they are haunting beautiful…. This new release from Numen Books is aptly named. Reaching deep into the depths of the human psyche, it pulls forth both classics and rich new gems that shine like polished onyx and opaline tears on the shores of aesthetic boundaries, pushing them art to its very limits. Packed with style, this book is broken into four components which are presided over by this shimmering and ethereal Muse Melpomene; Liber Veneficium (Book of Magic), Liber Maeroris (Book of Sorrow), Liber Fatum (Book of Fate), and Liber Mortuorum (Book of Death). Each of these chapters approaches the content thematically, with the contents beginning with a mystical premise in the first chapter and culminating in the most tragic of all elements in the human life experience in the last. The book contains carefully selected content from well -known classic authors such as Charles Baudelaire, William Blake, Emily Dickinson, Edgar Allan Poe and also new popular writers such as Gwendolyn Taunton, Azsacra Zarathustra, and James WF Roberts.